Found one file extension association related to MainLog and 1 file format developed specifically for use with MainLog. MainLog is a full-featured WINDOWS mudlogging program that will save you time and money while improving the accuracy and quality of your finished log. We include numerous features and requirements of logging companies with specific needs in the regional areas they work. We listen to, and work with loggers to incorporate many of these ideas to the benefit of all our clients. 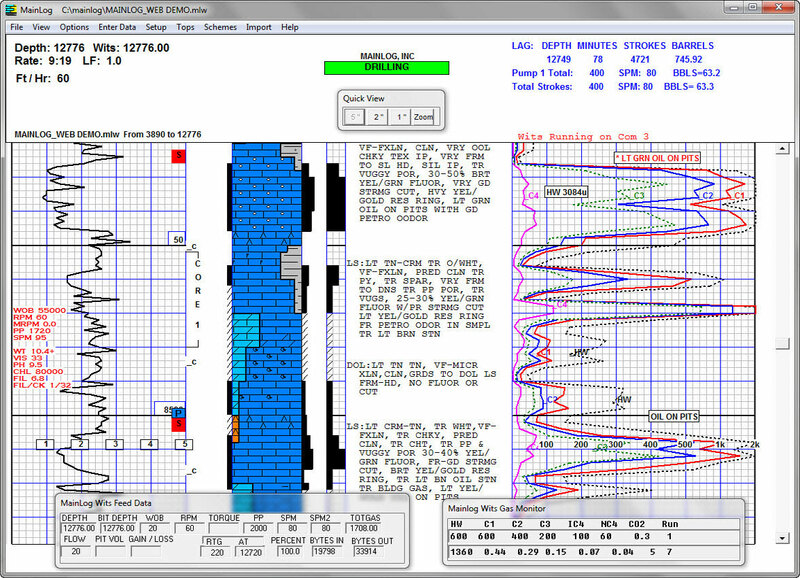 Mainlog sets itself apart from other mudlogging software in that it plots all incoming data directly to the mudlog, including, ROP, hotwire and chromatograph gases, CO2, MWD gamma and any data available from a wits feed. There is no importing of spreadsheets, text or LAS files to delay the presentation of your mudlog to a client. The logger can easily enter and edit all information at anytime and anywhere without missing any incoming data. MainLog is written with the intent to not only make the logger’s task much easier in the field, but also to make it a useful interactive program for the office as well. There are no modules involved - it's one program for vertical, directional (TVD Log) or horizontal wells. It offers a full set of reports that can be easily created and accessed and includes many features that have been time tested for fifteen years. We encourage you to scan through our website to find out more about MainLog. If you need more information please contact the developers of MainLog, or check out their product website.